The Young Life Leader Blog: WIN a PATAGONIA BAG by Fundraising with Custom Young Life Socks! 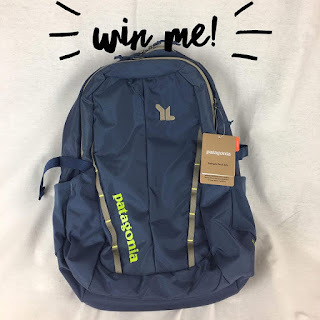 WIN a PATAGONIA BAG by Fundraising with Custom Young Life Socks! Do you want to win this sweet Patagonia YL bag?! Just fill out THIS FORM to be entered to WIN in this contest from The Young Life Store! Make sure you go ahead now and order SOCKS for your camp fundraisers? This ONCE/year order will close in 10 days on September 15th. Talk to your committee, Area Director and leaders about placing an area order. Then your campership fundraiser is set and all you have to do it wait to get your socks! And you can make $10-$15 per pair of socks! Still not convinced? Take it from other Young Life Staff and kids in Colorado who together raised over $50k for kids to go to camp this summer! You can work with the YL store to design your own style of socks or select one of the many pairs that have already been designed. Campers make $10-15 profit every time they sell a pair of socks, because you can buy them for around $5/pair and sell them for $15 or $20.